International children’s charity World Vision UK is urging the UK government to include children in decision-making to achieve peace in war-torn countries. The call comes ahead of today’s United Nations General Assembly (UNGA) summit in New York, co-hosted by World Vision and the UN Special Representative of Children and Armed Conflict, Virginia Gamba. Drawing on its latest report, Will You Hear Us? - 100 children in DRC tell their story, World Vision will use the event to urge leaders and decision makers to consult children. “As a leading champion in the fight against modern slavery, the UK has an important role to play. It should promote events that include children’s voices and ensure children are involved in decision-making,” Erica Hall, World Vision’s UK Technical Policy Lead, said. “Children should be able to take part in global events and use platforms – such as children’s parliaments – to discuss issues affecting them. The UK should also apply political pressure to stop abuses and develop programmes that can help children recover and rebuild their lives,” she continued. World Vision’s report shows that children as young as five have been recruited as child soldiers in the Democratic Republic of Congo’s restive Kasai region. Displaced, hungry and alone, all the children who spoke to World Vision for the Will You Hear Us? report, say they have been affected by the conflict. 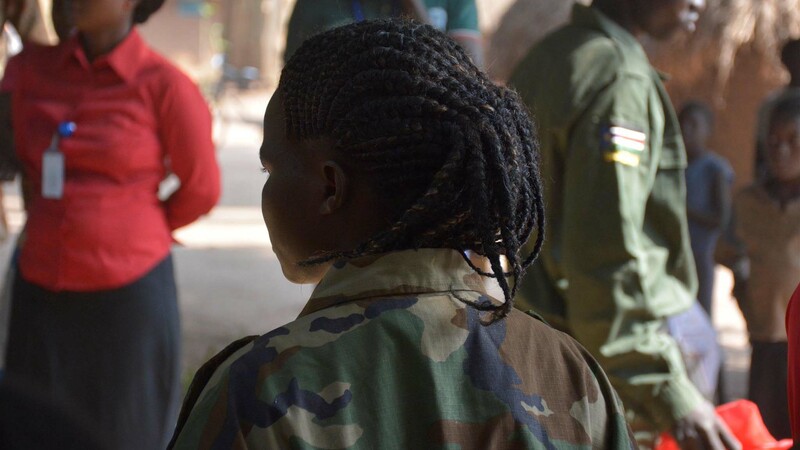 I was part of the militia but fled when my parents and my sister were killed. When I am alone, I think of my family and cry. What makes me most afraid now is the army and corpses. I have seen too many of both. Thousands have joined armed groups in the region, while hundreds lost family members due to violence, starvation or disease while hiding in the bush. “We welcome the UK government’s commitment at the UNGA to do more to tackle child slavery. But as our latest report shows, much more needs to be done to ensure children are not exploited in conflicts,” said Hall. “Children are key stakeholders for peace and they are better placed to speak about issues that affect them. Unless we give them the right support they need at the right time, we will be unable to break cycles of conflict that fuel the exploitation of children,” she concluded.